Spring Mills Manufacturing, Inc. is a leading manufacturer providing innovative, proprietary, and patented techniques for products and services. The majority of Spring Mills offerings consist of Custom Tape and Labeling Equipment to be used in applying Pressure Sensitive Tapes & Labels. 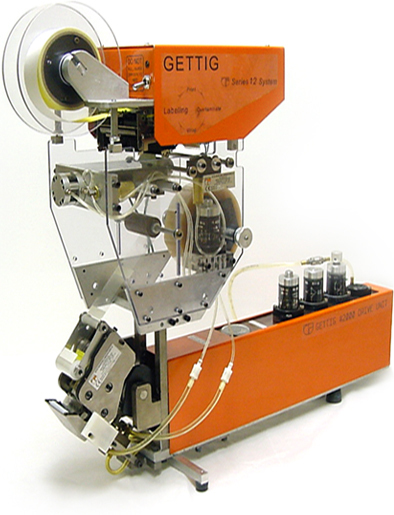 They include the Gettig 7600 Bench Model Economy Legend Entry Labeling System, the Gettig Semi-Automatic Gettig Spot Taping Systems, an assortment of Pressure Sensitive Tapes, and Push to Mount Wire Harness Clips for the industrial markets. Additional products, including the Ti-Ez Necktie Organizer and Miniature Model Airplane Ignition Coils, are sold directly to the public. Contact us. PrivacySite MapSite created by Thomas Web Solutions© 2013, Spring Mills Manufacturing, Inc.